“API Reads Monthly Top 5,” is a new series from the API Reads program, where Attachment Parenting International will post our top 5 quotes from a compilation of resources currently being reviewed by the team. Editor’s Note: Even though these quotes have stood out to the reviewers, the resource is still under review. Please use your discretion when reading these resources on your own. We cannot guarantee that there are no conflicts with API’s philosophy, mission, or principles until the resource has been completely reviewed. Be sure to check APedia (soon to be launched) at a later date to see the final summary from the reviewer. 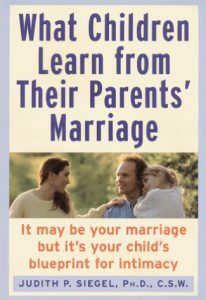 Each of this month’s Top 5 quotes from from the ebook, What Children Learn From Their Parent’s Marriage: It May Be Your Marriage, But It’s Your Child’s Blueprint for Intimacy by Judith P. Siegel PhD. 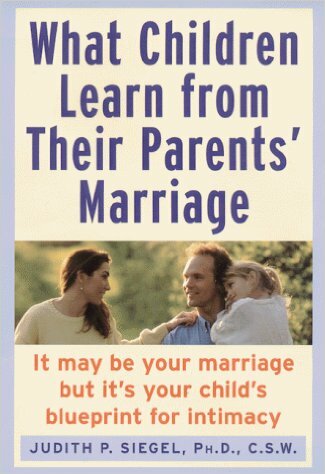 Previous post: What does your approach to discipline teach your child about conflict resolution? Next post: Children communicate their needs through behavior…what is your child communicating?